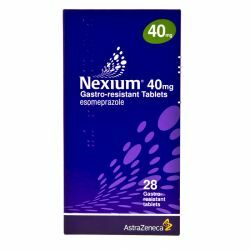 Zantac 300mg tablets contains a medicine called ranitidine which belongs to a group of medicines called H2 -receptor antagonists by reduce the amount of acid that is in your stomach. 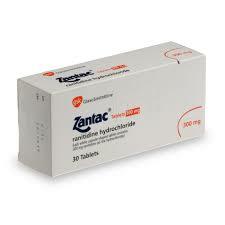 Zantac 300mg are capsule shaped tablets which are white in colour. These tablets come in blister packs or containers. They should be stored in a dry place. 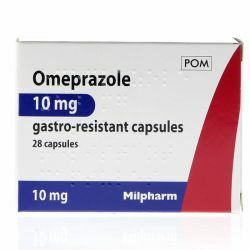 These tablets are available on prescription only and should be used before the expiry date. As with all medicines, keep Zantac out of sight and reach of children. When taking Zantac 300mg tablets, the doctor’s instructions should always be followed exactly. The usual dose is one 300mg tablet at bedtime, but your doctor will tell you how many tablets to take and how long to take them for. The tablet should be swallowed whole with water. If you take more tablets than you should it is not normally harmful, unless you take many at once in which case you should take the medicine pack and go straight to your nearest hospital casualty department. If you forget a dose of Zantac then take it as soon as you remember it. Do not take double dose to make up for forgetting the tablet. Do not stop taking the tablets without speaking to your doctor first. Each tablet contains the active ingredient ranitidine (as the hydrochloride) 300mg. Zantac also contains microcrystalline cellulose (E460), magnesium stearate (E470b), methylhydroxypropyl cellulose (E464), titanium dioxide (E171), triacetin (E1518), croscarmellose sodium. If you are allergic to ranitidine or any of the ingredients of Zantac 300mg tablets, speak to your doctor before taking these tablets. If you are taking any medication at all, including non-prescription medication, tell you doctor before taking Zantac tablets. If you are not sure then talk to your pharmacist or doctor before taking Zantac. Check with your doctor before taking this medicine if: you have stomach cancer, kidney problems. If you have had stomach ulcers before and are taking non-steroidal anti-inflammatory (NSAID), you have a rare condition called acute porphyria, you are over 65 years old, you have lung disease, you are diabetic or you have any problems with your immune system. If you are taking any of the following: lidocaine – a local anaesthetic, propranolol, procainamide or n-acetylprocainamide – for heart problems, diazepam – for worry or anxiety problems, phenytoin – for epilepsy, theophylline – for breathing problems, warfarin – for thinning your blood, glipizide – for lowering blood glucose, triazolam – for insomnia, atazanavir or delaviridine – for treating HIV infection, gefitnib – for lung cancer, ketoconazole – an anti-fungal medicine. If you are taking Zantac and are about to have an operation, make sure you tell your doctor as Midazolam may be given to you before you have an operation. If you are pregnant, breast feeding or might become pregnant, talk to your doctor before taking Zantac. If you notice any of the following side effects, stop taking Zantac and contact your doctor immediately: any allergic reactions such as itching, rash, or hives, swelling of your lips, face, tongue or any other parts of your body, shortness of breath, chest pain, wheezing or any trouble breathing, unexplained fever and feeling faint especially when standing up, back pain, kidney problems, severe stomach pain, slow or irregular heartbeat, fever pain when passing urine, blood in the urine and changes in any blood tests you may regularly be having. Rare side effects that may show up in blood tests are increased serum creatinine (kidney function test) or changes to liver function. 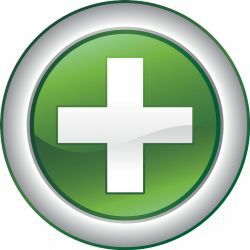 Rarely there could be changes in the level of certain substances in the blood which may lead to feeling unusually tired or short of breath, being more likely to bruise or get infections. There may be feelings of confusion, depression, seeing or hearing unexplained things (hallucinations), feeling dizzy, headaches or having blurred vision, swollen or painful joints or you cannot control their movement. There could be flushing or marks on your skin similar to targets, unexplained hair loss, diarrhoea, impotence, breast tenderness/enlargement, breast discharge. If you get any side effects at all including other than those listed above, talk to your doctor or pharmacist.